3 BEDROOM HOUSES PRICED FROM €600,000, 3 BED PLUS STUDY HOUSES PRICED FROM €685,000 AND 4 BEDROOM HOUSES FROM €750,000 - PLEASE CONTACT DNG NEW HOMES FOR MORE INFO. Ashfield Place is an exclusive new development consisting of only sixteen bespoke homes. The development will offer a variety of terraced and semi-detached 3 and 4 bedroom homes designed to the highest standards with excellent finishes, offering an intelligent use of space and light, with a keen eye for style and commitment to quality. These excellent new homes will immediately impress with their quality design, well-proportioned rooms and luxurious finishes throughout. and polished chrome door handles. knobs with soft close drawers. finishes of brick and render. Templeogue is one of Dublin’s most popular and sought after suburbs. Nestled just four miles from Dublin’s City Centre this is a perfect location for a family home. 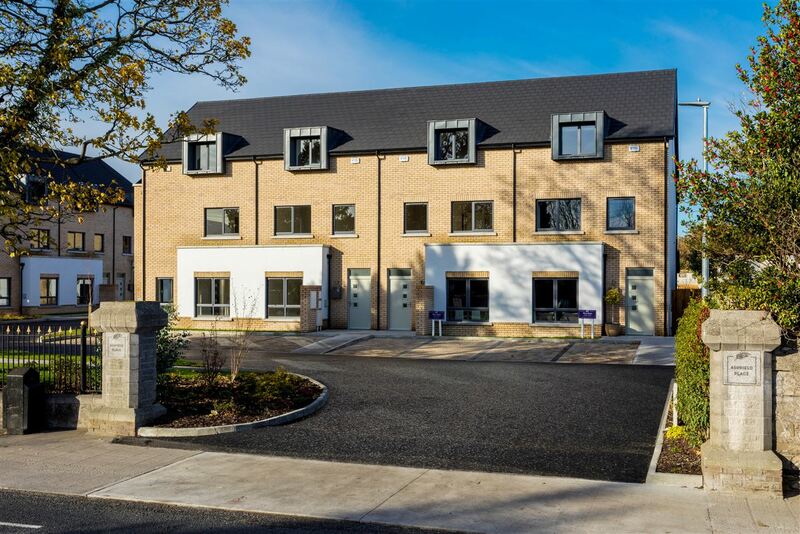 Ashfield Place benefits from great access fronting directly onto Templeogue Road, just 2 km from Terenure Village and 2.5 km from the M50. Bushy Park is all but 700m walk from the development providing tranquility at the doorstep. With a selection of South Dublin’s finest Golf Clubs, restaurants and shopping including Dundrum town Centre nearby leisure time will not be a problem from Ashfield Place. The immediate area benefits from many key amenities including Templeogue Tennis Club, St Faughs GAA Club, St. Judes GAA Club, St. Mary’s College RFC, Templeogue Swimming Club, and Templeogue United Football Club. There is an excellent choice of primary and secondary schools to avail of including Pius X and Bishops Shannon’s National School the highly esteemed Terenure College and our Lady’s School along with Templeogue College and Presentation College Terenure.